Last week, Netflix graced us with a full-length trailer for The Punisher season 2 that shed new light on the plot of the upcoming episodes. Now, the streaming service has released yet another (condensed) trailer that showcases some previously unseen footage. You can check it out for yourself via Twitter below. We already knew that The Punisher‘s next season was going to kick off with Frank Castle trying to move on from his violent past. A flirtatious encounter with a bartender appears to suggest that he’s even capable of finding love again after losing his family. However, the reprieve doesn’t last, as the new trailer shows her getting gunned down in front of him. With this, Frank resumes his one-man war on crime, much to the annoyance of Agent Madani. Frank isn’t exactly one to wait for the green light to dole out his personal brand of justice, so her admonishments fall on deaf ears. The new trailer doesn’t reveal any more footage of Josh Stewart as John Pilgrim, the primary antagonist for this season. However, we are treated to some new shots of Ben Barnes as Billy Russo. 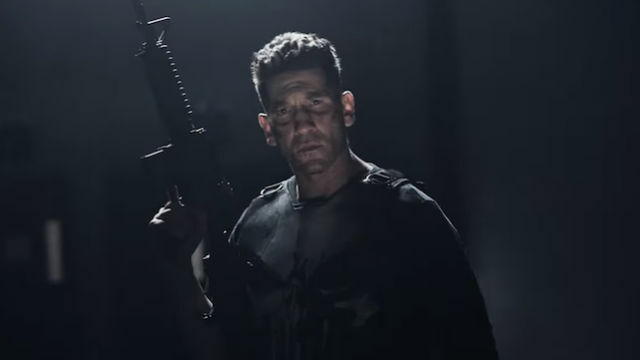 Although Stewart’s portrayal of an alt-right Christian leader gives the series a unique opportunity to reflect on current national issues, Barnes’ return as the Punisher’s archenemy is undoubtedly a major source of viewer excitement. Recent cancellations of Marvel’s other Netflix shows indicate that this might be Frank Castle’s last go-round on the platform. If this turns out to be the case, we can only hope that The Punisher will go out on a high note. The Punisher season 2 hits Netflix on Friday, January 18. You can share your thoughts on the new trailer in the comment section below!